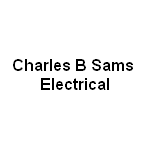 Charles B Sam Electrical customer care policy is to be approachable, business like, and caring in all dealings with all its customers. We will always be respectful and courteous and we will inform you of the name of the person dealing with your enquiry. You will always recieve clear and professional advice from our qualifed member of staff who are fully motivated, self-disciplined and will have the ability to communicate and interact with all levels of client, but most importantly takes great pride in their individual work. Our comapny is very strict on health and safety policies. We adhere to our own very stringent guidelines to ensure both our customers and staff are always safe. A very professional service done by reliable and cheerful personel. Very pleased with quality of work, will most certainly use them again.